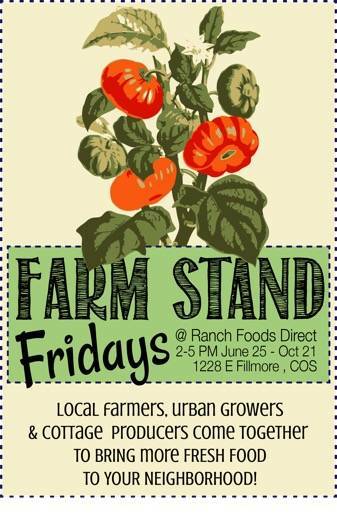 Fridays from 2-5 p.m., the Ranch Foods Direct store at 1228 E. Fillmore will have local vendors with tents and displays set up around the building. They’ll have more fresh produce every week as the growing season gets into high gear. Come by and stock up before the big Fourth of July weekend! Follow the latest developments by visiting the new Farm Stand Friday Facebook page, CLICK HERE.